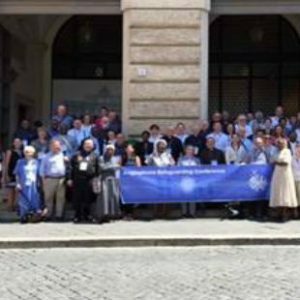 Each year since 2004 an English-language Conference has been held for Church leaders and those working for the Church in safeguarding children and assisting survivors of abuse. 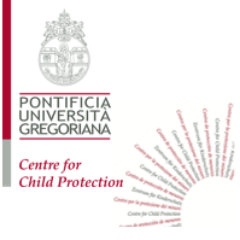 In recent years the conference has been held in Rome and since 2015 at the Pontifical Gregorian University, which includes the Centre for Child Protection [CCP]. The theme was Culture: An enabler or barrier to safeguarding and the range of cultures and experiences of the delegates enriched the discussions enormously. The format was deliberately interactive, with each of the seven keynote addresses followed by responses from three participants from a range of countries and perspectives. Workshop groups then had the opportunity to explore the topics and their own varied experiences. The keynote topics highlighted the role of culture as potentially either a barrier or an enabler of safeguarding. Some topics were: Trauma and Culture, Meaning and Learnings; The Culture of the Catholic Church and the abuse of minors; The Voice of the Child: A change in culture? and The Digital World and its Challenges to the creation of a safeguarding culture. The opportunity to share ideas and experiences with such a diverse group of people was wonderfully enriching and challenging. The delegates included Church leaders and those within the Church who work day by day, for the safeguarding of current and future generations. Coffee breaks, a sponsored Conference lunch and a Conference dinner enabled us to renew friendships and make new ones and to deepen our discussions with individual delegates.